You'll explore the less-touristy side of things at Teijo national park and Arboretum Mustila. 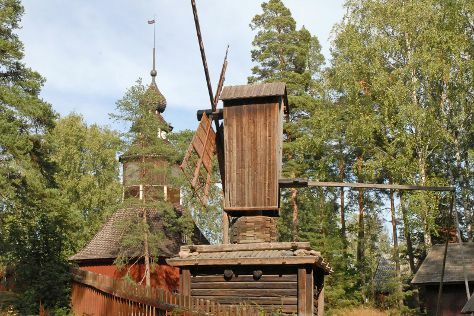 Deepen your sense of the past at sights like Seurasaari Island and Open-Air Museum and Snappertunan kirkko. Venture out of the city with trips to Hanko (Bellevue Beach & Tulliniemi Nature Path), Nuuksio National Park (in Espoo) and Porvoo (Cathedral of Porvoo & Porvoo Old Town). Spend the 3rd (Sat) exploring nature at Ekenas Archipelago National Park. There's more to do: take a peaceful walk through Niivermaki Nature Conservation Area and stroll through Hiidenvuori. To see other places to visit, where to stay, maps, and more tourist information, use the Helsinki trip planning website . If you are flying in from United States, the closest major airport is Helsinki Vantaa Airport. July in Helsinki sees daily highs of 71°F and lows of 55°F at night. Cap off your sightseeing on the 3rd (Sat) early enough to travel back home.